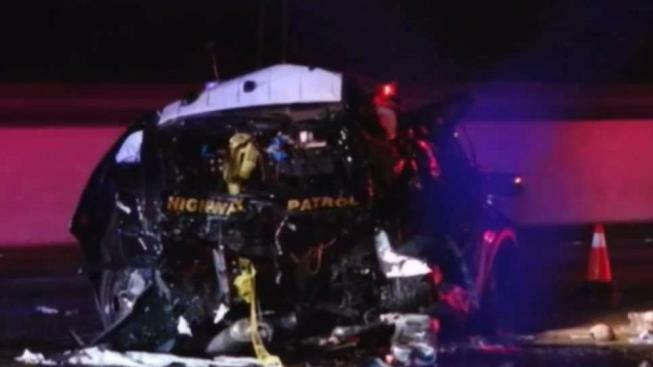 The Christmas Eve death of a California Highway Patrol officer in a suspected DUI rear-end crash sent shock waves throughout the Bay Area. Outside the department's Hayward office, where Andrew Camilleri worked, a memorial is growing as people drop off flowers and pay their respects. Officials said they have received an outpouring of support from the community after the loss of one of their own. Details about a memorial fund for Camilleri have been posted on the CHP Golden Gate Division Facebook page. 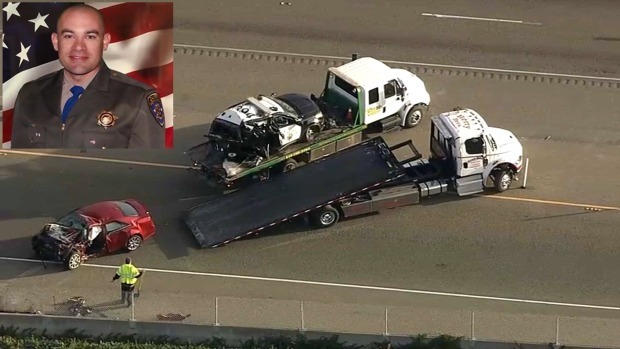 Camilleri's body was escorted late Tuesday afternoon during a procession that started from the Alameda County Coroner's Office in Oakland to Fry Memorial Chapel in Tracy. Camilleri lived in Tracy with his family. 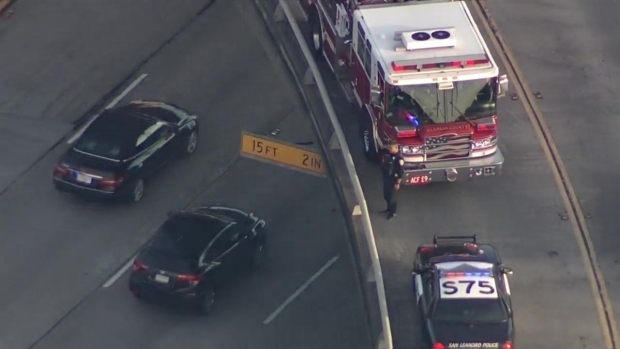 Police, firefighters and paramedics were seen saluting the fallen officer from overpasses along Interstate 580 while the procession made its way to Tracy from the East Bay. Earlier in the day, mourners dropped by the CHP station in Hayward to leave flowers. Most who visited had never met the rookie officer. "I heard over the news that he had passed right before midnight," mourner Aruna Singh said. "It really touched me. So my mom and I came to pay our respects." The 33-year-old is survived by his parents, siblings, a wife, a 12-year-old daughter, and two sons, ages 6 and 2, according to Asst. Chief Ernest Sanchez. Capt. Chris Childs, from the CHP's Napa office, is in Hayward Tuesday to free up local officers so they can start arranging the funeral, which is expected within the next week. He said also that Camilleri's name will be included on a fountain behind the CHP academy — called the Wall of Honor — alongside the names of other fallen officers. 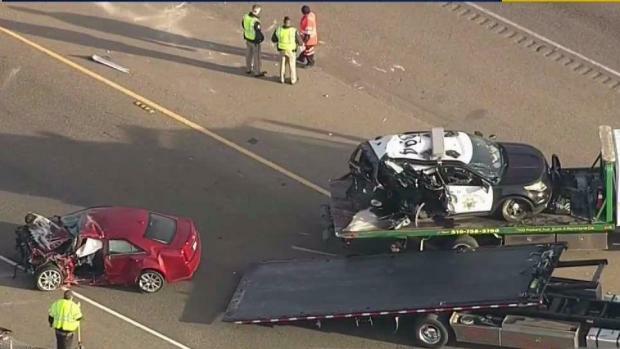 A California Highway Patrol officer was killed in the line of duty on southbound Interstate 880 in Hayward on Christmas Eve after being rear-ended by a suspected drunk driver returning from a party, officials say. Thom Jensen reports. Capt. Tim Pearson, commander of the CHP office in Hayward, fondly recalled Camilleri, who joined the department in August 2016. Rep. Eric Swalwell, Cal Fire, and other local law enforcement agencies took to social media to express their condolences. The California Association of Highway Patrolmen Credit Union is setting up a fund to benefit the Callimeri family. A memorial bell ringing ceremony is scheduled for 11 a.m. Wednesday at the CHP Academy, located at 3500 Reed Avenue in Sacramento. NBC Bay Area's Kristofer Noceda, Roz Plater, Anser Hassan and Thom Jensen contributed to this report.